Armed with some of the greatest songs ever written, The Miracles are still after 40 years, attracting enthusiastic audiences around the world. Motown’s first of many famous groups such as The Temptations, The Four Tops, The Supremes, The Commodores, and The Jackson Five, Martha Reeves and The Vandella’s and of course The Miracles, who were the very first group to sign to Motown records, continue to keep the Motown sound alive by performing songs, such as: “Shop Around”, “I Second That Emotion”, “Tears Of A Clown”, “Love Machine”, “You’ve Really Got A Hold On Me”, “The Tracks Of My Tears” , “Ooh Baby Baby” and many more. Their performances at the Nassau Coliseum, the Inaugural Gala in Washington, D.C. and the 4th of July celebration at Duke University with over 60,000 fans in attendance, was simply unbelievable. 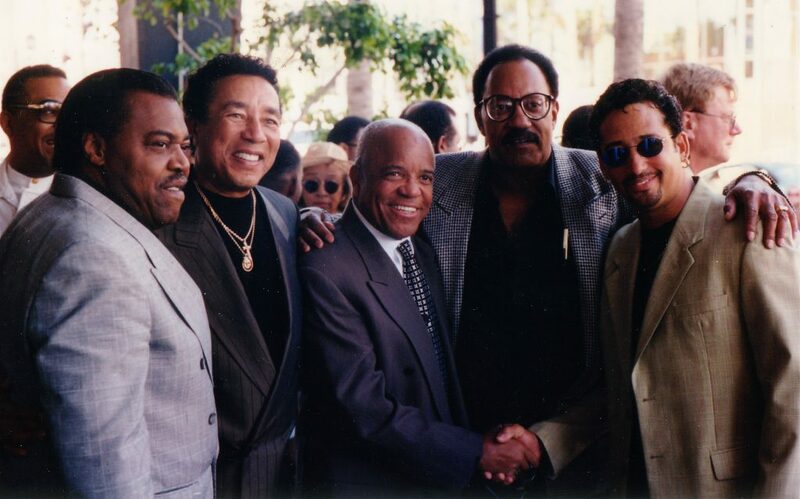 In 1956, Bobby Rogers, Smokey Robinson, Claudette Robinson, Ronnie White and Pete Moore, childhood friends became The Miracles, and embarked on a career that would surpass their wildest dreams. Berry Gordy Motown’s founder recorded and released “Shop Around” a number one smash on all the charts, establishing The Miracles and giving Motown their first gold seller, this was the beginning of the record company and the group success for many years to come. The Miracles and Motown Records became known throughout the entire world. Over the course of the years, The Miracles continued to record chart-topping hits, including “Ooo Baby Baby”, “Going To A Go-Go”, “More Love”, “Mickey’s Monkey” and “Tears Of A Clown”. The Miracles established themselves as one of the best groups of all times. In 1971, Smokey Robinson announced his retirement to spend time with his growing family. Billy Griffin replaced him and The Miracles continued to be successful recording hit records, with such renowned producers as Marvin Gaye, Willie Hutch and Freddie Perren. In the fall of 1976 their hits consisted of “Do It Baby” and “Love Machine”, The Miracles were now on top of the POP, R&B and DISCO charts. The Miracles timeless music gained in popularity through movie soundtracks such as “The Big Chill”, “Platoon” and “Donnie Brasco”. (In 1993, Motown honored the group with a 35th anniversary retrospective greatest hits CD box set). In 1978 upon the departure of Billy Griffin, the group, consisting of Pete Moore, Bobby Rogers and Ronnie White auditioned a young man right out of college (Long Beach State University), by the name of Sydney Justin. He was chosen as The Miracles lead vocalist, but had a prior commitment to play in the N.F.L. with the Los Angeles Rams. Sydney had a rewarding but short lived professional football career (Five Years), due to an injury, but not before he had a chance to earn a Super Bowl ring in Super Bowl XIV. 1985 After his retirement from Pro Football, Sydney signed a recording contract with the vocal pop group “Shalamar”. He recorded, wrote and produced songs on their last two CD’s and performed concerts around the globe. Now with Sydney, whose style is reminiscent of a cross between Smokey Robinson & Marvin Gaye, along with Bobby Rogers, Ronnie White and Claudette Robinson, The Miracles embarked on a second wave of success. Unfortunately, in 1995 Ronnie White one of the original members lost a fourteen-month battle with leukemia and was unable to see the groups continued success and legendary performances with new lead singer Sydney Justin. The Today Show, Good Morning America, George & Alana, Donnie and Marie Osmond, the Pat Bullard show, and the Home & Family show, just to name a few. They also have two nationwide television commercials running to date (Denny’s & Oil Dispatch). They have performed in Las Vegas casino’s, (The Rio, Star Dust, Green Valley Ranch Casino, and also the Freemont Street Experience) Washington D.C.’s Constitution Hall and in The Library of Congress, (where they were the first R&B group to be inducted). They have also toured throughout Europe with the United States Air Force Orchestra and many, concerts in Casino’s, and Private Corporate functions throughout the United States and abroad. Sydney Justin and The Miracles recently recorded a new Greatest hits CD, a Live CD performance, and a Christmas Holiday CD with songs that include: “Silent Night, White Christmas, Feliz Navidad, Frosty The Snow Man, We Wish You A Merry Christmas, The Christmas Song” and many others including two new original songs “My Favorite Time Of Year” and “Finally Christmas” written by Sydney Justin. It’s not surprising that The Miracles featuring Sydney Justin are loved throughout the world for the extraordinary music and electrifying stage performances. Even Berry Gordy has giving Sydney Justin the endorsement as one of Motown’s brightest stars. The Miracles line up today include: Sydney Justin, Kerry Justin,(Sydney’s brother and former Seattle Seahawks defensive back) Cordell Conway, and Eric Swindell are the best ever. With great harmonies and stunning choreography, this act is beyond Fantastic. They are Extraordinary. The Miracles featuring Sydney Justin has been seen and admired by millions on the PBS television specials and in concerts worldwide as they continue to share The Miracles of their Almighty God given talents. …AND MIRACLES CONTINUE TO HAPPEN.